KARACHI, March 22: Director of the Human Rights Commission of Pakistan I.A. Rehman has lamented that the left-leaning people were considered an educated lot in the past, but that claim could no longer be made. 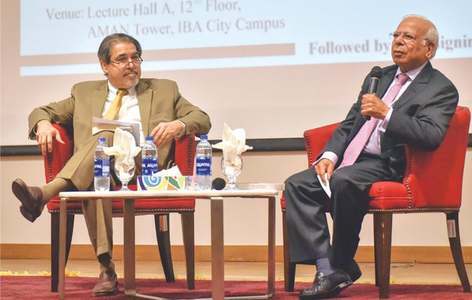 He was speaking at the launch of a book titled Sixty years in self exile: no regrets — a political autobiography by B. M. Kutty at the Pakistan Institute of International Affairs on Tuesday. The event was organised by the Pakistan Studies Centre, University of Karachi, and the Pakistan Labour Trust. Shedding light on the author's life and work, Mr Rehman said he had worked in difficult times, been labelled a traitor and conspirator and imprisoned many a time. He said Mr Kutty in his book had described the 60-year history of the country, especially of the last 40 years, not as a spectator but as a character and an activist. He had written about those powers that not many knew much about. He said one aspect of the book was that it discussed the left-wing political parties of the country and how they were treated here. He lamented that there in the past left-leaning people were thought to be the 'educated lot', but not anymore. Former law minister Iqbal Haider said he had known Mr Kutty since 1970 and found him an efficient and trustworthy human. He said the author claimed he had no regrets for being in exile, but had he not migrated from Kerala to Pakistan then the country would've been deprived of his wisdom and purity. He remembered the days when the Movement for the Restoration of Democracy was in full swing and a lot of people were put behind bars, and said Mr Kutty was among them. He fondly remembered the heated debates that used to take place in jail. He, however, complained that the last chapter of the book left much to be desired as there was very little in it about the effect of Benazir Bhutto's murder, Pervez Musharraf's dictatorship and religious extremism. Mr Kutty came to the podium and told the gathering that the title of the book was suggested to him by Nirmala Deshpande, by who he's inspired. He told the audience his autobiography was dedicated to four women â€“ his wife (who passed away last year), his mother, Nirmala Deshpande and Benazir Bhutto. He said Benazir Bhutto was the first woman elected prime minister of a Muslim country, but was given bombs and bullets as a gift. Talking about his wife, he said she tolerated him. Giving the background to the book, he said when he edited Mir Ghaus Bux Bizenjo's autobiography, some friends opined that there were things missing in the account. He said at the time he promised that he'd do the rest himself. He assured everyone that he had no prejudices against anybody, and if he had criticised his comrades, it's because he'd been candid in expressing the wrong things that they did. If someone had objections s/he could give him in writing and convince him he's wrong. He then read an excerpt from his book which was about Kerala where he was born and where there's the first government led by the Communist Party. After that he referred to pages 75 to 77 of the book in which he'd quoted Mian Iftikharuddin's speech delivered at a conference which was published in the Pakistan Times on Nov 12, 1950. Praising Mian Ifikharuddin, he said the issues that he raised in his speech only three years after Pakistan's inception were still relevant. An emotional moment came in the programme when while thanking the people who're responsible for the book Kutty's voice trailed off and his eyes welled up with tears. Mehmood Shaam's paper brimmed with satire and sensitivity. He hinted at the targeted killings that had reddened the cityscape of Karachi and connected his presidential address with the president of Pakistan's address in a lighter vein. On the book, he said each line in it was attention-grabbing, indicating the shortcomings of Pakistan. He argued it was difficult to ascertain whether the book was more difficult and readable or Mr Kutty. 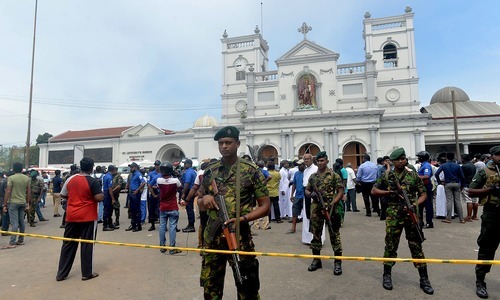 He said not too long ago the secret service men would follow workers like him and Mr Kutty and their progress was simultaneous to them; but today they had 'outsourced' their jobs and hired individuals from our own ranks to spy on people like Mr Kutty. He said in his life Mr Kutty had penned a lot of drafts, resolutions and statements, and had the Pakistan Resolution been drafted by him, there'd be less confusion in it. He said talking about Mr Kutty made him remember Mir Ghaus Bux Bizenjo, and despite the fact that one was from Kerala and the other from Khuzdar, it was their ideology that had brought them together. He remarked there was a time when the Russian revolution and the French revolution were passionately discussed, and nowadays it was Munni's badnami and Sheela's jawani that were in vogue. Karamat Ali, S. Jaffer Ahmed, Tahir Bizenjo, Jawaid Mohiuddin (Mr Kutty's son), Yousuf Mastikhan and Syed Khadim Ali Shah also spoke.